Our CEO was interviewed for the first episode of The ABQ Show! She shared her experience in publishing and writing, as well as entrepreneurship and roller derby. Plot Duckies was honored to be chosen to attend the Creative Startups LABS in Denver during 2018 Denver Startup Week. It was four days of intense and thought-provoking work on our business. The outcome was a revision of one of our products and the creation of the 5 Minute Author. I was interviewed by the Daily Author about all the things I’m up to: writing during NaNoWriMo, possibly getting a novel published (which was accepted by the publisher – Woot! ), and about Plot Duckies. 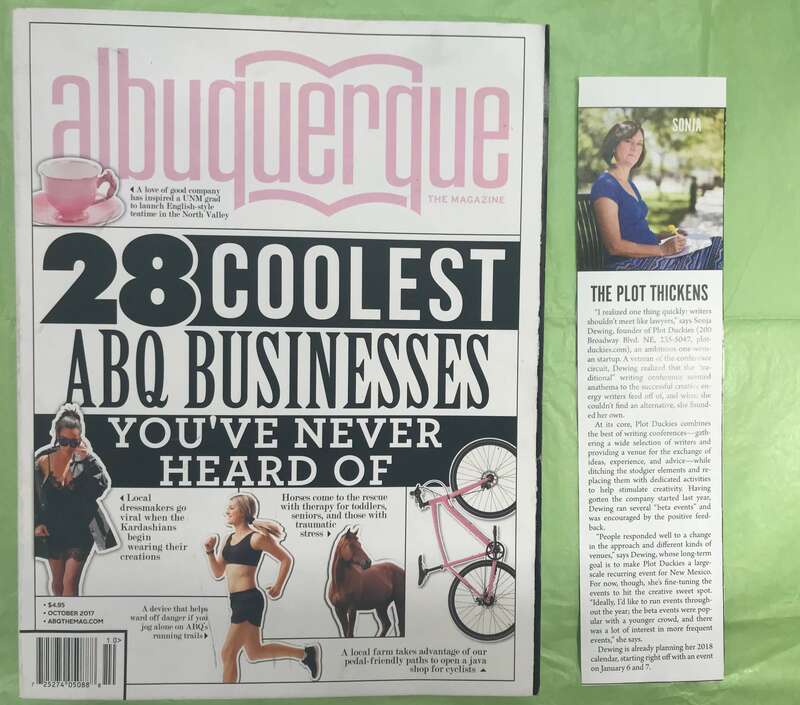 I was honored to be chosen as one of the “28 Coolest Businesses You’ve Never Heard of”. The launch party for the edition was awesome – I got to meet a lot of these smart business owners. One Million Cups is a great opportunity to share your story as an entrepreneur and get some feedback and ideas on your challenges. You should check out your local One Million Cups!